NorthStar performed a Topographic Survey with Boundary, ALTA, Record of Survey, Parcel Map, Easements, Dedications, Basin Assessment Maintenance District Engineer’s Report, Civil Engineering Design Services and Civil Plans for Private and Public Improvements for a 12.2 acre apartment site in Stockton. 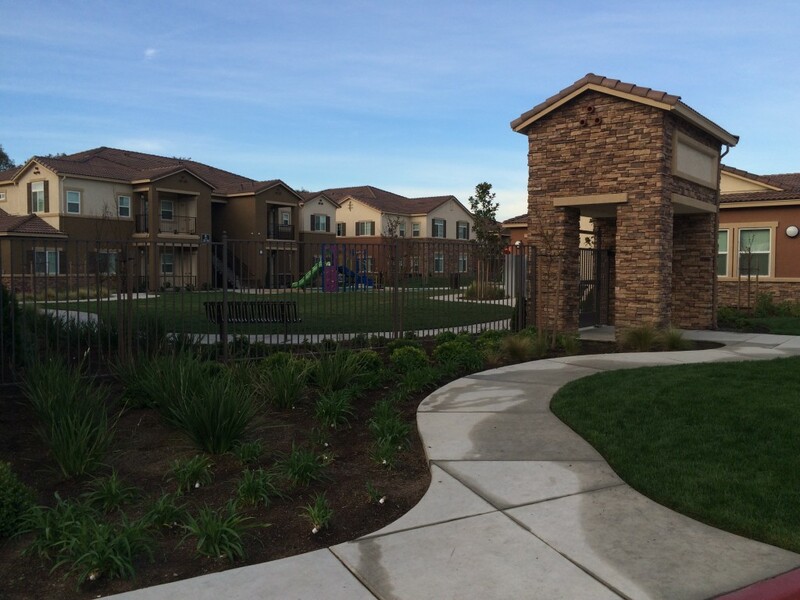 The private engineering services included the design of a club house, nine 2-story apartment buildings, parking lot, storm drainage system, sewer system, domestic water system, fire prevention system, storm water treatment, volume reduction calculations to meet Stockton’s Storm Water Quality Control Criteria Plan (SWQCCP), and erosion control measures. The public engineering services included the design of a 2 acre City storage basin, access road with future development utility services, master plan amendment, storm drain pump station, 2000 feet of a storm drain force main, discharge structure to a County open channel, and 2700 feet of a City sewer extension while coordinating with Calwater, the City of Stockton, San Joaquin County and Caltrans to avoid existing and future improvement. The Civil Improvement Plans addressed construction details, site demolition, pavement delineation, horizontal control layout, detailed grading and drainage, storm drainage, sanitary sewer, water, profiles and erosion control measures for both onsite private development and offsite public development. The plans were prepared and processed through the City of Stockton, San Joaquin County, Calwater, and Cal-Trans for approvals. © 2016 NorthStar Engineering Group, Inc. All rights reserved.